Today we launch a fantastic new 16 page colour book, A Life of Endings. 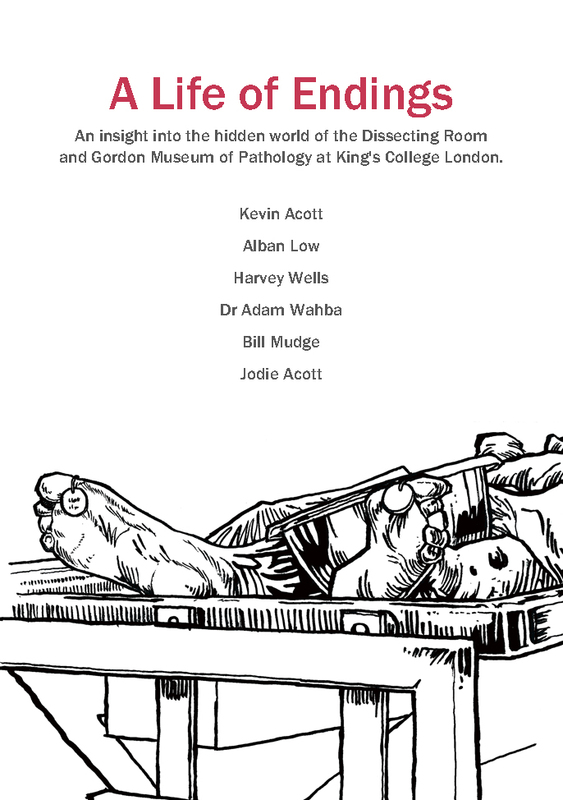 This book is an insight into the hidden worlds of the Dissecting Room and the Gordon Museum of Pathology at King’s College London. It includes poetry by Kevin Acott and art from Alban Low, with featured sections by Dr Adam Wahba (Demonstrator), Jodie Acott (Medical Student) and Harvey Wells (Medical Educator). The book also includes a download code so that readers can listen to the music and poetry by Kevin Acott and Bill Mudge. Listen to the poetry at A Life of Endings Bandcamp page. Jodie Acott is a fourth-year medical student at King’s College London, with a particular interest in psychiatry and women’s health. She completed an Intercalated BSc last year in Psychology – for which she won the John Weinman Prize – and is seeking eventually to work in General Practice. Jodie loves music and literature and was cursed at a very young age with a need to support Spurs. Alban Low is the founder/director of the artists’ collective CollectConnect, who have exhibited more than 4000 images on streets worldwide. He is a familiar presence on the jazz circuit in London, where he sketches live and writes reviews. 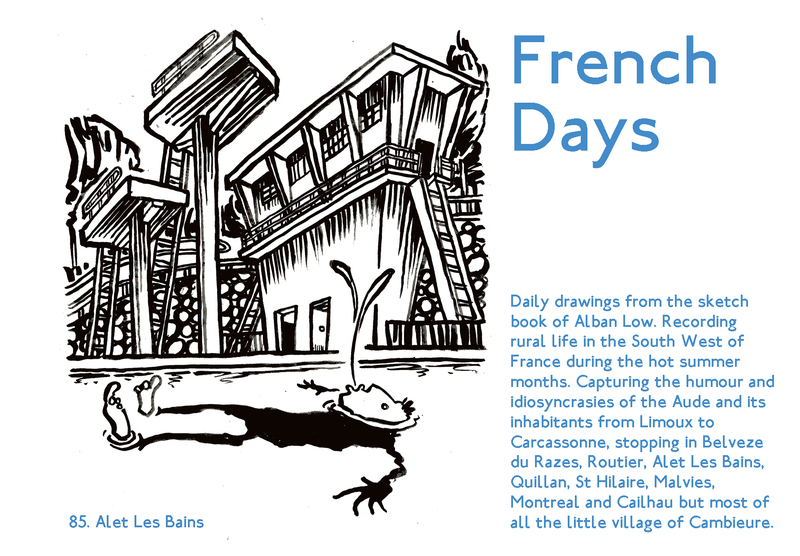 He exhibits widely from London to New York and has shown his work in over 100 exhibitions. His experimental films have been screened at festivals around the world, including the BFI London, Hamburg short film festival, and most recently the Morphos dome in Los Angeles, USA. He is a director at Sampson Low Ltd, who have been publishing books since 1793. He is Artist-in-Residence at the School of Nursing, Kingston University and St George’s, University of London. Kevin Acott is a Senior Lecturer in Mental Health at Kingston University and St George’s, University of London. He writes poetry, short stories and film and album reviews at http://www.somethingaboutengland.co.uk. Kevin has had poems published at Ink, Sweat and Tears and short stories at The Londonist and Smoke: A London Peculiar. His first poetry collection was Put Your Lips Together (2014). His Great Unpublished Novel is both great and unpublished. Harvey Wells is a Senior Lecturer in Mental Health at Kingston University and St George’s, University of London, and a Visiting Lecturer in Medical Education at King’s College London. Harvey identified the potential of this project during his teaching observations of demonstrators in the Dissection Room and his work with Alban on the Mental Health Simulations at Kingston University.